The ping results and error messages are displayed in the Results window (Fig. 1). Fig. 1: The Ping window. The indicator in the upper right corner informs whether the system is ready (green) or busy (red). 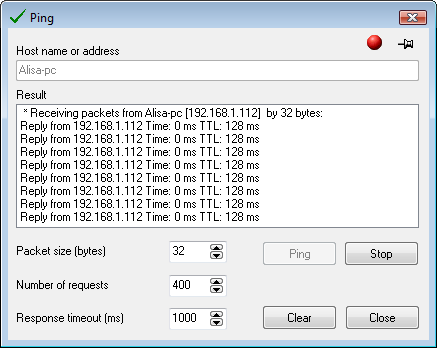 The ping process can be cancelled before its completion by clicking the button Stop.